After five years of traditional “standard model of care” treatment for TBI and Post-Traumatic Stress Disorder (PTSD) that did little to improve his condition or functionality, SFTT helped to provide Ben with a series of safe, effective medical treatments, including Hyperbaric Oxygen Therapy, Low-Level Light Therapy, Neurofeedback, and autologous mesenchymal stem cell therapy, that have helped him get much of his life back. 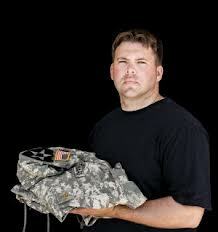 Ben is a graduate of the United States Military Academy at West Point and Georgetown University. He currently lives in western Iowa with his wife and four children.